He came from Ecuador to Europe via Brussels. Fabián Barba already had experience as a dancer. One focus of his work is bringing 1930’s dance into the present. 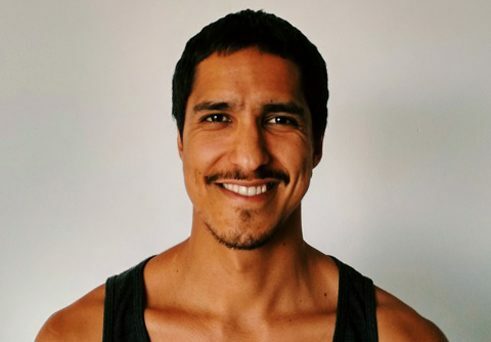 In his Ecuadorian homeland Fabián Barba, born 1982 in Quito/Ecuador, was already working as a professional dancer and also studying Literature and Theatre Arts when he came to Belgium – initially only for a guest semester. At the renowned Brussels school P.A.R.T.S., founded by Anne Teresa De Keersmaeker as Performing Arts Research and Training Studios, he wanted to broaden his artistic horizon. He completed the entire four-year course, and since then he has stayed in Europe with his formation Busy Rocks. However, in contrast to the aesthetic canon of that time, Barba was more interested in iconic works of dance history. Unlike his fellow students, he did not burst out laughing when shown Martha Graham’s solo Lamentation for the first time. Instead, this encounter aroused his interest in dance from the years around 1930, and the dance style of Mary Wigman, in particular, became his theme. What motivated female artists at that time to find and execute such movements? What seems old-fashioned about them today? With his A Mary Wigman Dance Evening from 2009, Barba became a star of the contemporary dance scene and its recently aroused interest in historical questions – whereby for Barba this work is by no means applied archaeology but rather aesthetics of the here and now. In his solo a personal yet collective history (2011), Barba engages with the emergence of his own biography as a dancer. This was also influenced indirectly by dancers from the great migration of the 1930s, and the first sources that he read on Mary Wigman concerned Wigman’s USA tours in 1931 and 1932. After the Wall Street Crash of 1929, Wigman managed to survive initially by touring in North America. If migration is essentially an affair of its respective times, then Fabián Barba is an exception – for it is historical aspects that have prompted and accompanied his peregrinations.